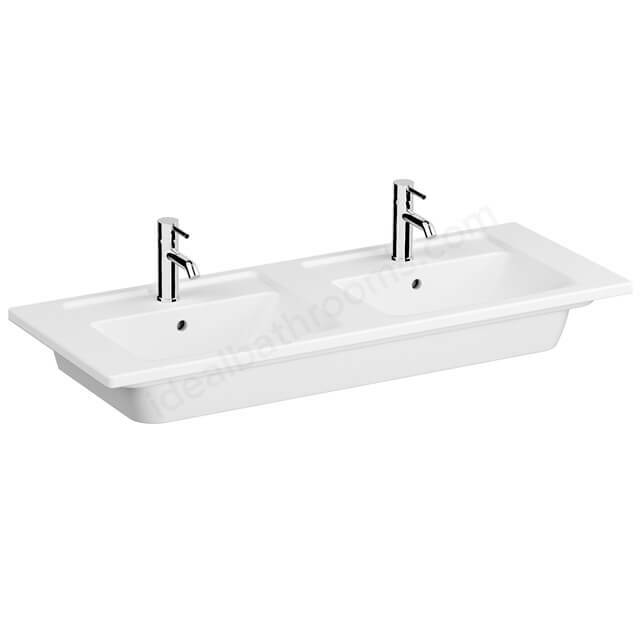 The VitrA Integra 1200mm Double Bowl Vanity Basin is an impressively wide and spacious unit that features tap holes available for use but does not include the taps shown in the image along with it. 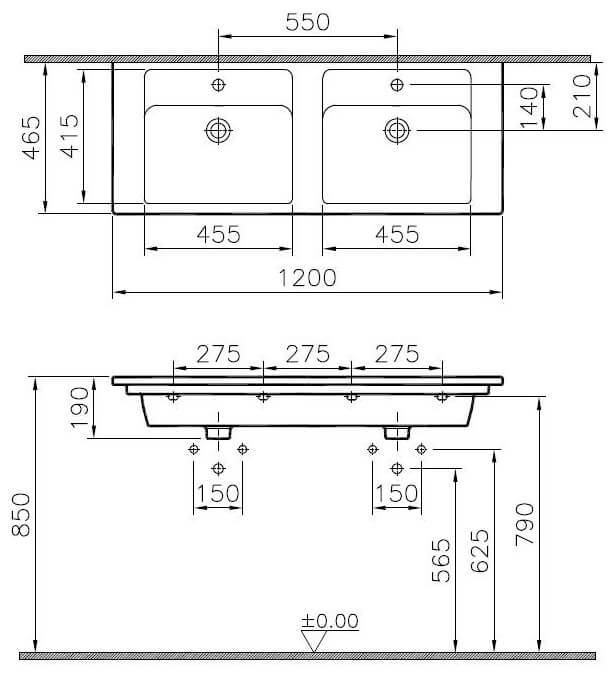 A well-made vanity unit, this product is created for secure installation on top of any compatibly sized vanity or countertop areas. 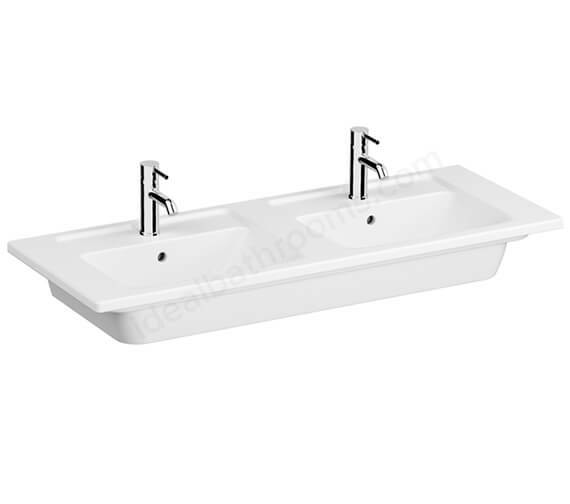 It is offered in a striking white finish and versatile enough to be installed within nearly any bathroom layout. This product includes overflows within the design as well. 10 years of guarantee from VitrA.